The Gandzasar monastery is an Armenian monastery in Nagorno-Karabakh, situated in the Mardakert region, near the village of Vank. 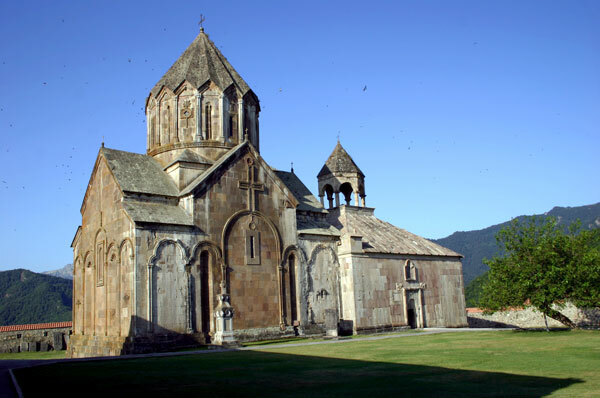 Gandzasar means treasure mountain in Armenian. On site is the Church of St. John the Baptist, which was built between 1216 and 1238. The complex is protected by high walls, which have exquisite bas-reliefs on the exterior walls that depict the Crucifixion, Adam and Eve, and two ministers holding a model of the church above their heads as an offering to God. The bas-reliefs have been compared to the elaborate inscriptions of Akhtamar, and some scholars and historians consider the monastery to represent one of the top masterpieces of Armenian architecture. 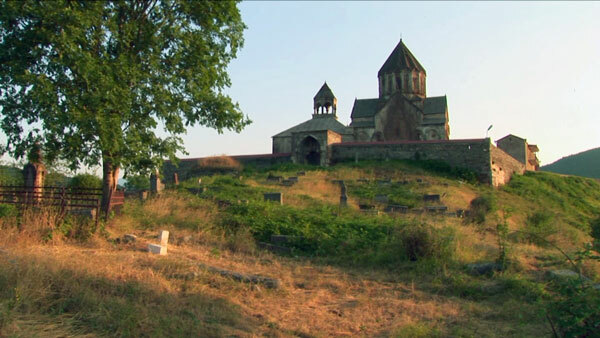 Although the monastery was damaged during an Azeri bombing raid in 1991, and one building, the house of the Father Superior, was lost, Gandzasar is actively functioning today, and is the seat of the Archbishop of Artsakh.